After introducing itself to America in 2015 at the year's biggest advertising event, Tel Aviv-based website-development company Wix.com says it will return for Super Bowl 50. "We're really happy with what we achieved last year—we did a great campaign, not just a spot," Omer Shai, Wix's CMO told Adweek. "This year was almost a no-brainer." During February's Big Game, Wix will run a 30-second spot with a larger digital campaign that begins in the weeks leading up to the event. In an interesting twist on the agency-client model, Hollywood film studio DreamWorks Animation is behind the ad's creative, showing how more brands are betting on alternatives to traditional ad agencies. Production company Committee LA helped with last year's campaign. "[DreamWorks] approached us after the success of last year, and they said that they would like to do something together," Shai said. "Because there are so many values of the brand that combine, it was easy to work together, and we're happy with what we created. They know how to tell the story in a lovely way." 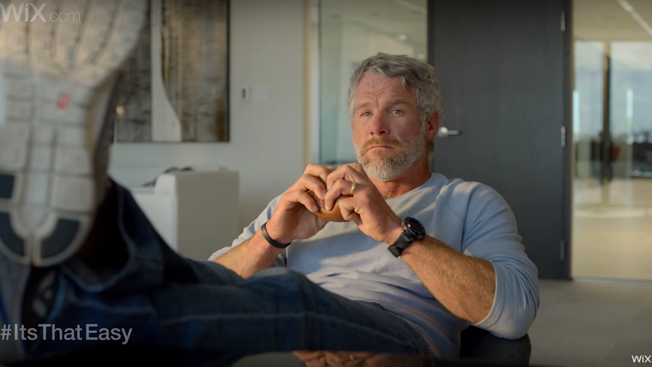 The Super Bowl 50 ad ties "directly into Wix's mission to provide small businesses with a powerful and easy-to-use software platform to design, manage and grow a stunning online presence," the brand said in a statement. Last year's spot, #ItsThatEasy, followed football legends Terrell Owens, Emmitt Smith and Brett Favre. The website-design company also cranked out 50 pieces of online content using 16 different social accounts. Shai didn't disclose how much Wix is spending on this year's effort or when the spot will run. Last year's ad ran at the two-minute warning of the fourth quarter, which can be a risky placement if the game is a blowout. But last year's nail-biting game between the New England Patriots and Seattle Seahawks kept fans watching to the last play, which Shai said paid off. "The placement went really well because the game was tied, and we got the peak of the game," Shai said. "According to Nielsen, we got 120 million people watching the commercial."